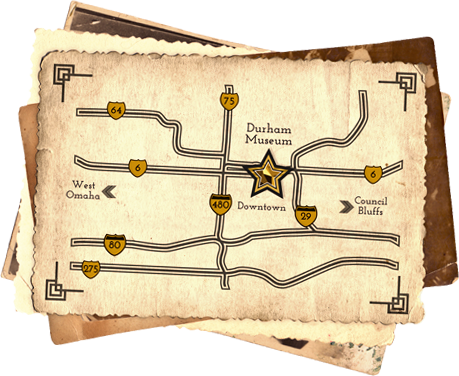 At The Durham Museum, exhibits are only part of our story. There is a lot of work done behind the scenes to research the items that are on display and keep the objects in our collection in good shape. 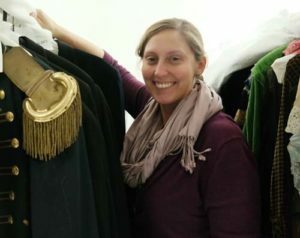 Our Collection Manager, Becky Putzer, oversees the long-term preservation of our collections and often comes across interesting objects that are not on public display. Every few weeks Becky will post about some of these artifacts and their stories, providing insight into how the museum preserves them for future generations. We hope you will find a new appreciation for the museum as a place to experience engaging exhibits and events, but also as a repository of some pretty neat artifacts that help researchers, interns and the public learn about history! Cowgirls, Sheepskin Chaps and a Grand Celebration! In July of 1910 the Stockmen’s Convention was held in Alliance, Nebraska and if these photos are any indication, they had a great time! This Bostwick-Frohardt folio features men and women riding, roping and racing on horseback. I enjoy the lively action captured in the photos! They freeze a moment in time when this small town (population 3,105 in 1910)… Continue Reading Cowgirls, Sheepskin Chaps and a Grand Celebration! Good afternoon! Recently during our IMLS grant work, our Collection Facilitator, Haiden, came across a great collection of documents from Omaha’s early history. Their pristine condition made it easy to handle them and read their contents; this sparked Haiden’s curiosity and she shares a little about what she found below. _____________________________________________________ How did a metal box full of documents from… Continue Reading Always Check the Safe! Hello. Today’s topic: Place your bets! We very recently received a donation of three notebooks in a metal safe box. Pretty normal-looking stuff, but the story and content is the fun part! These notebooks contain betting figures, names, and profits carefully managed by Eddy Barrick. Barrick and a business partner Sam Ziegman controlled gambling in the area and eventually moved… Continue Reading Place your bets!